Production of the Maruti Suzuki Vitara Brezza has been increased by 10 per cent to 94,000 units between April and October this year, in a bid to reduce the current waiting period of 4-6 weeks. In a bid to reduce the waiting period for its popular subcompact offering, Maruti Suzuki has announced that has ramped up production of the Vitara Brezza. The production has been increased by 10 per cent to 94,000 units between April and October 2018, as compared to the same period last year. Launched in 2016, the Maruti Suzuki Vitara Brezza turned out to be a game changer for the automaker with the subcompact SUV showing no signs of slowing down in terms of demand. The Vitara Brezza is produced at Maruti's Sanand facility in Gujarat, with the waiting period around four to six weeks at present. 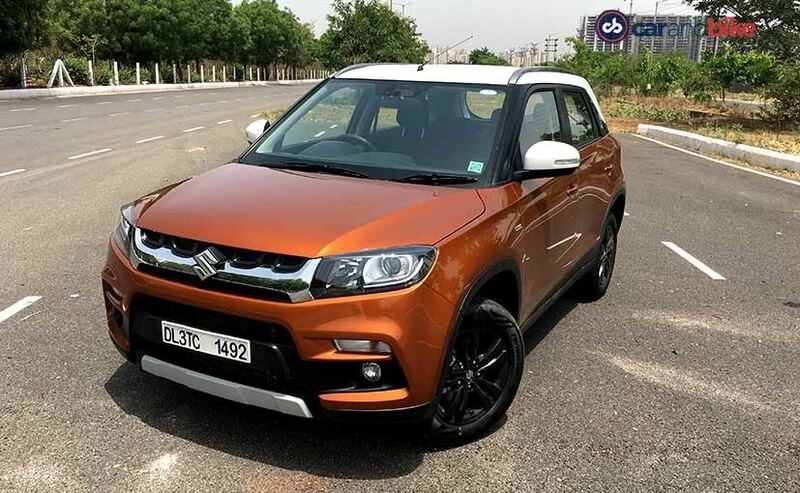 Announcing the production hike, Maruti Suzuki - Senior Executive Director (Marketing and Sales), RS Kalsi said, "The high demand for our popular models such as the Vitara Brezza is a testimony of our best in class technology, design and customer experience. With the Suzuki Motor Gujarat plant operational at its full capacity of 2.5 lakh units annually in Gujarat, we are able to increase the output. We are confident that with the reduced waiting period, we will be able to enhance the car buying and ownership experience of our customers." The Maruti Suzuki Vitara Brezza is one of the most successful SUVs on sale at present. The company sold 95,000 units of the model between April and October of FY2018-19, while over 1.48 lakh were sold during the 2017-18 fiscal. The company has sold over 3.57 lakh units of the Vitara Brezza since its launch, averaging about 15,000 units units every month. The Maruti Suzuki Vitara Brezza is offered with only a 1.3-litre diesel engine that belts out 89 bhp and 200 Nm of peak torque. While the motor has been offered with a 5-speed manual since the launch, a 5-speed AMT was introduced earlier this year. In markets like Mumbai and Delhi, the Vitara Brezza AMT version accounts for nearly 49 per cent and 39 per cent demand respectively. The Maruti Suzuki Vitara Brezza competes with the Ford EcoSport and the Tata Nexon in the segment.